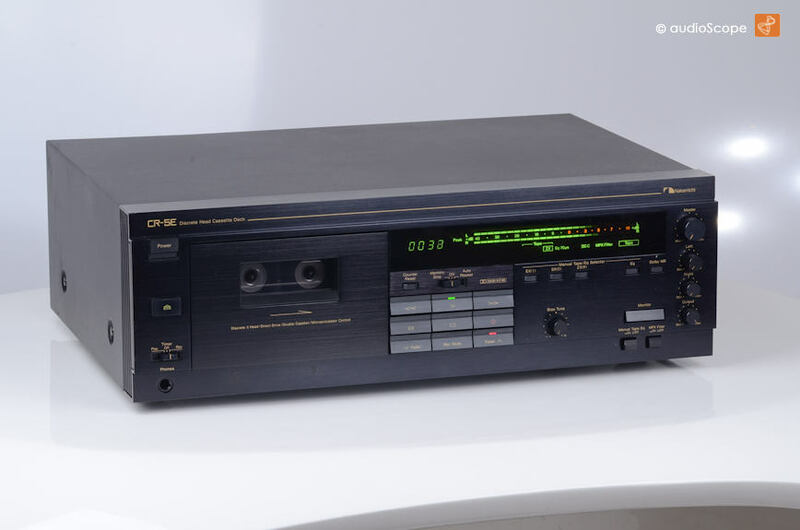 Rare and excellent sounding Nak that comes very close to its big brother, the CR-7. 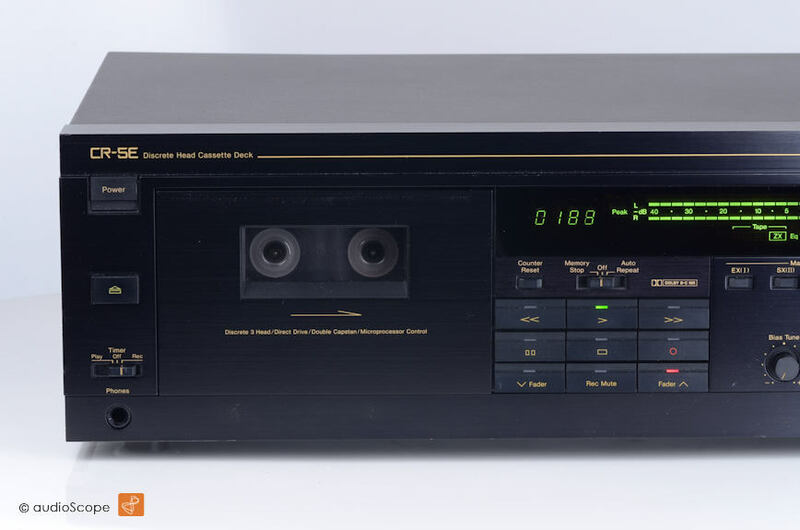 Not only optic wise..
Full manual deck with adjusting facilities for each tape type. The technical condition is perfect, optically, light wear below the cassette door. 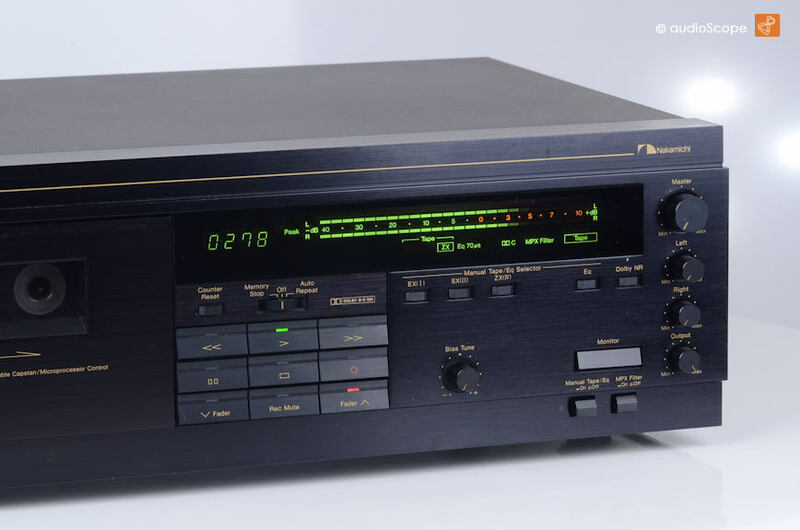 Aligned with Nakamichi T-100 Audio Analyzer, incl. 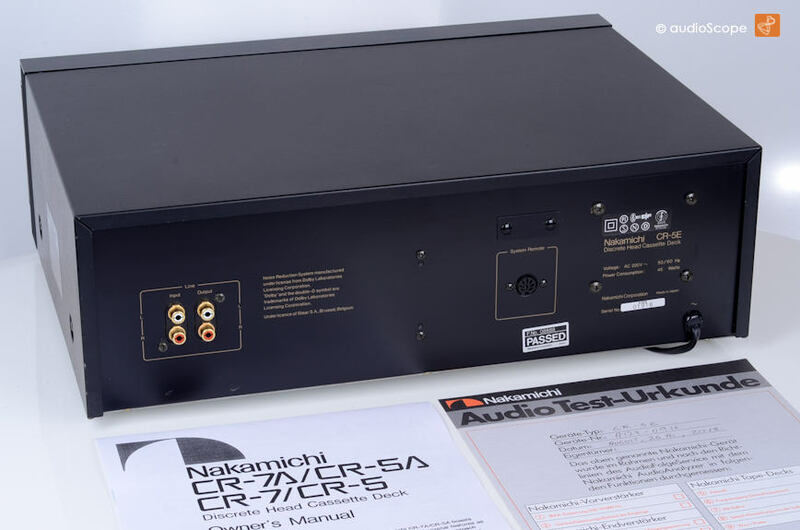 Nakamichi Audio Test certificate issued 27. 9. 2013 and a copy of the manual.